Two complete wraps provide up to 12 months of outdoor protection. Quiet release, resists punctures and tears, and includes ultraviolet inhibitors (UVI) to prolong life when exposed to direct sunlight. 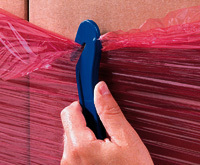 High cling film protects UV-sensitive palletized shipments from dirt and moisture, stabilizes load, deters tampering, and impedes theft. 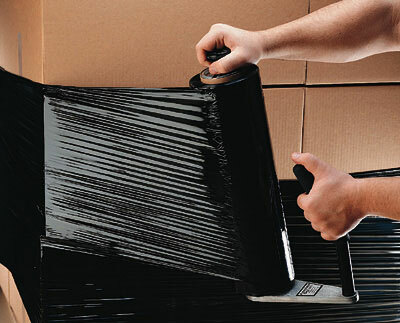 Rolls have 3" cores that fit our Handwrapper (Item Number 10-05), Handi-Holders™ (Item Number 10-08), or handheld dispenser with brake (Item Number 10-20-02).